Real Estate | Finance Active at the National Housing Federation Conf. 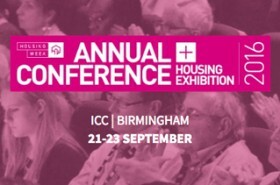 Finance Active will be in Birmingham the 21st and 22nd of September at the annual conference and housing exhibition organised by the National Housing Federation. The opportunity for our Fintech company to present our debt management solution for Social Housing. The opportunity for our Fintech company to present our debt management solution for Social Housing. This conference is one the major event for the social housing sector, during which all the burning topics are discussed: performance, prospects, risks, opportunities… An event which has become all the more important as this sector is changing rapidly. The annual conference will gather more than 2000 professionals in the social housing sector over three days, and will have a select handful of special guests including Robert Peston, Gavin Barwell, Princess Anne (… and Finance Active! ).